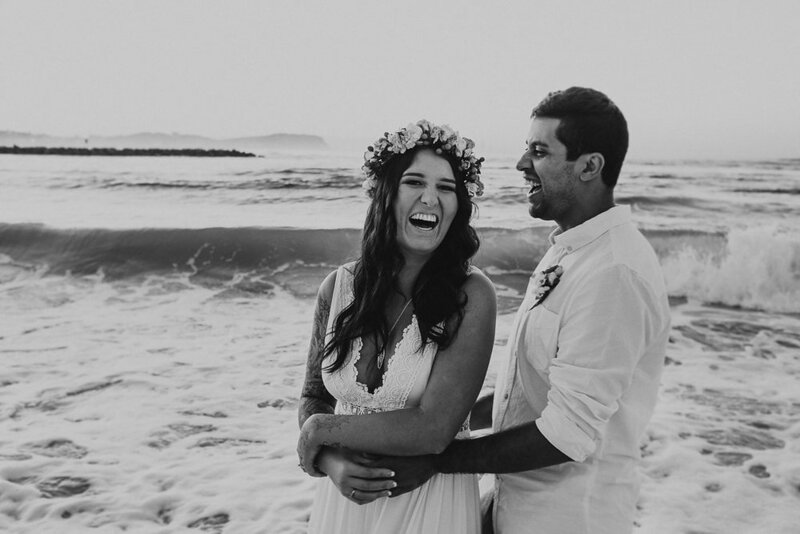 It was a beautiful Winter's day when Lauren and Mattias tied the knot in front of their closest friends and family. 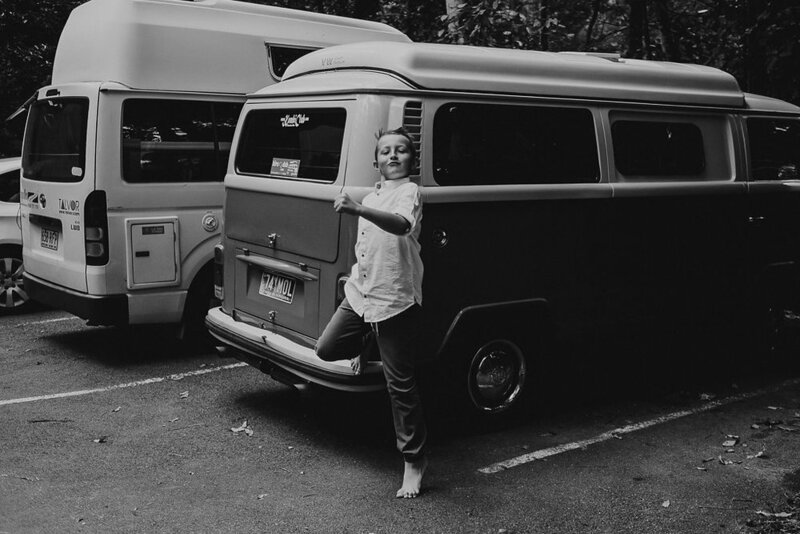 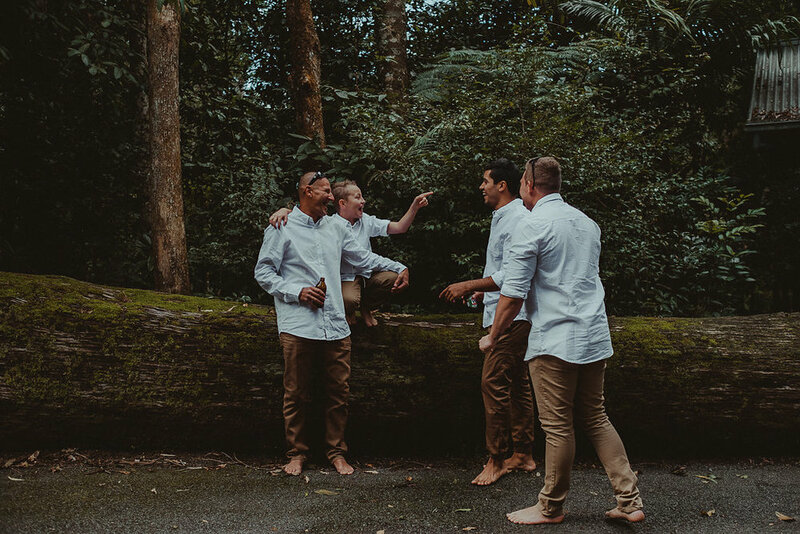 We are a sucker for a good barefoot forest wedding, and were only too excited to return to the Cascades for another rainforest shindig. 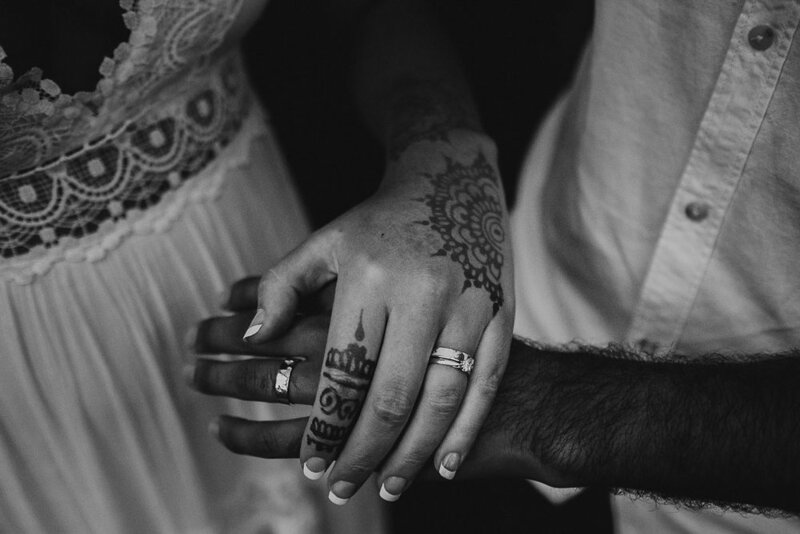 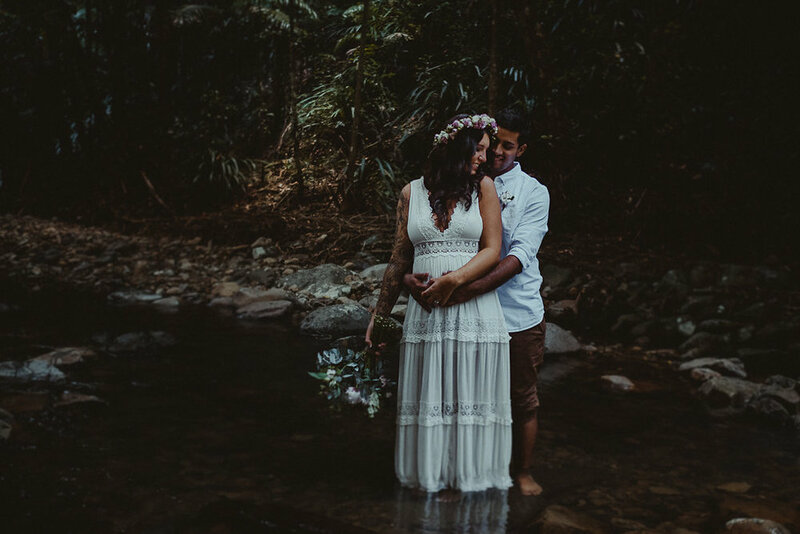 There's such a quiet intimacy that comes with saying your vows by the sound of a babbling creek and native birds nearby - and always feels like such a privilege - as if nature itself is witnessing the love between these two beautiful people who met on the other side of the world, but who returned to Australia to marry and start a family of their own. 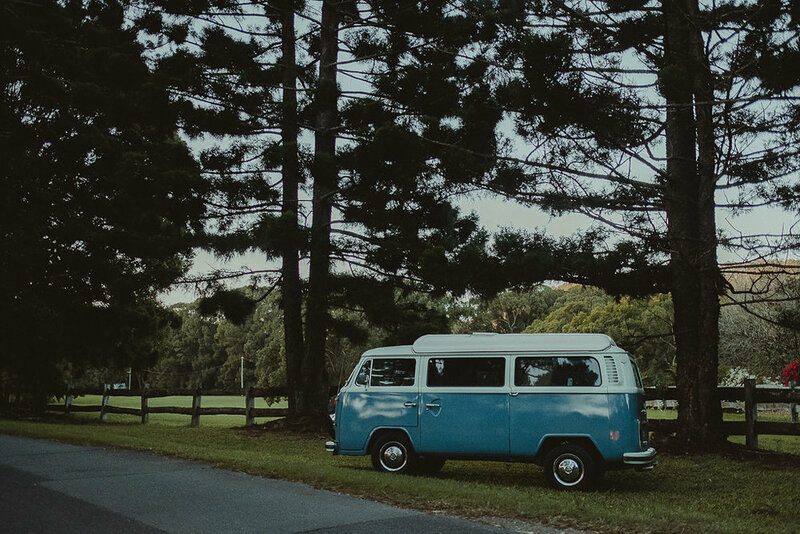 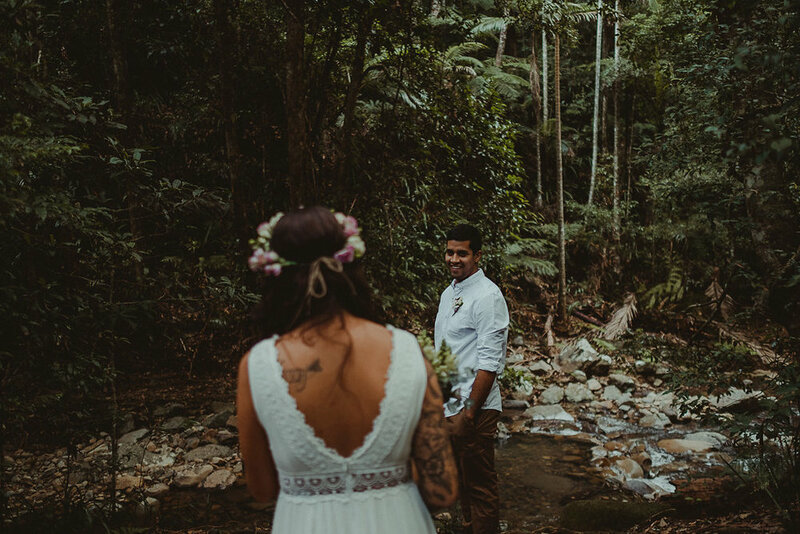 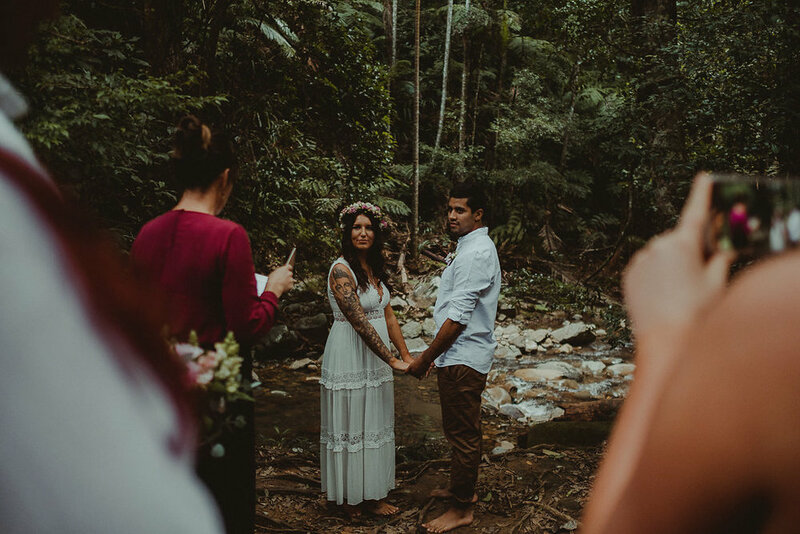 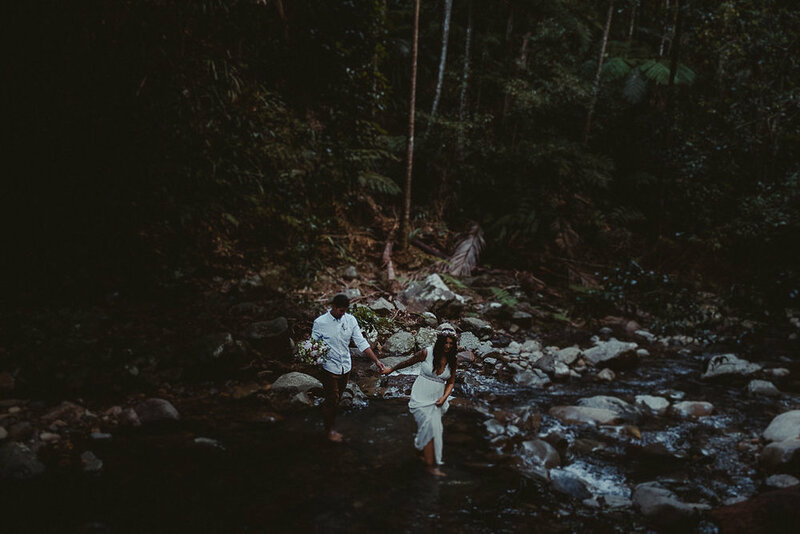 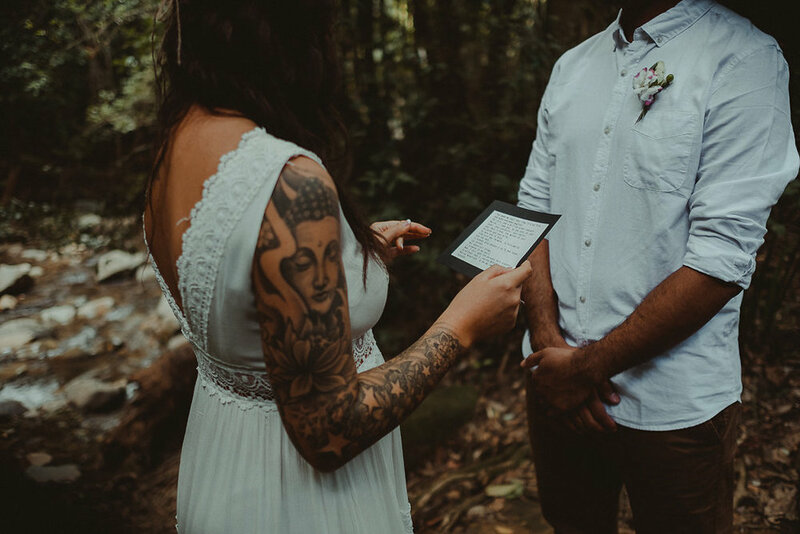 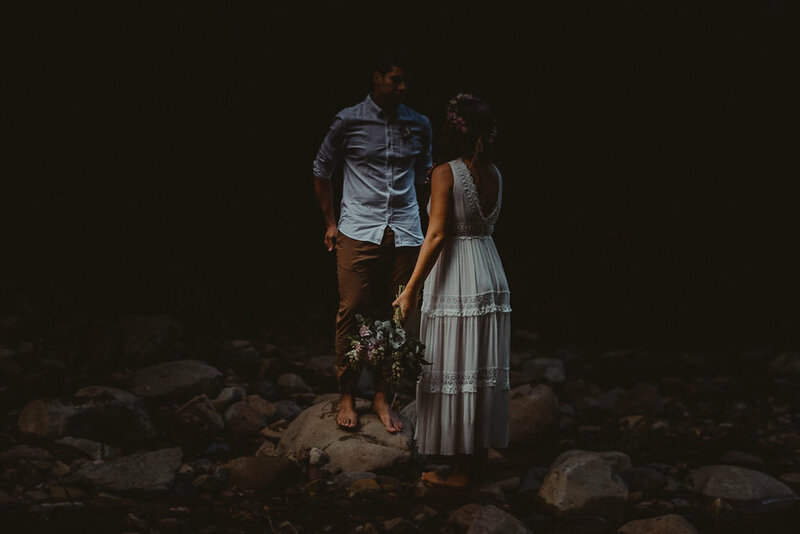 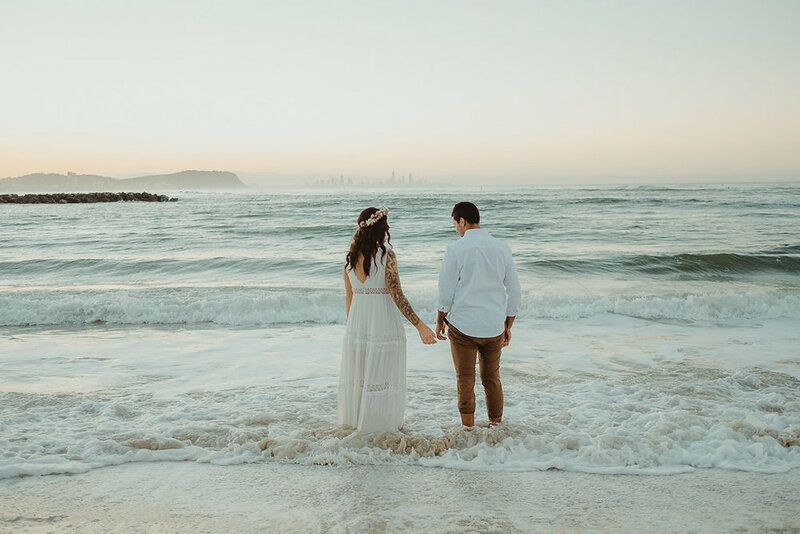 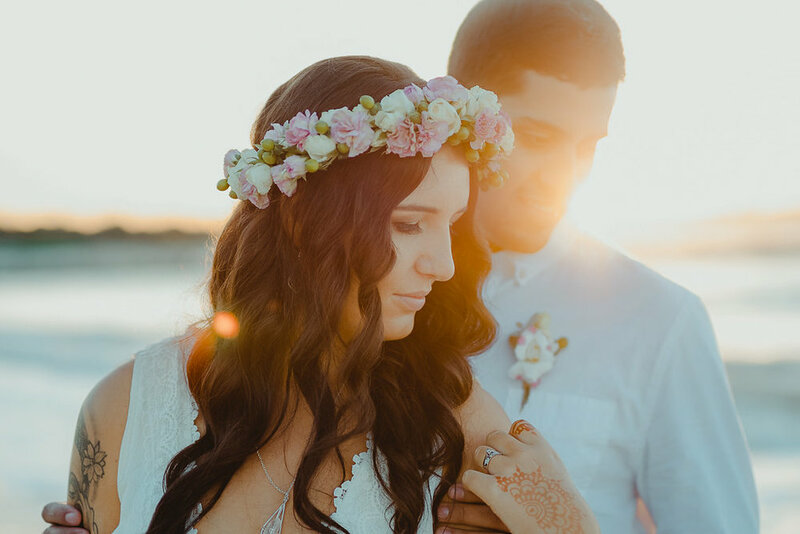 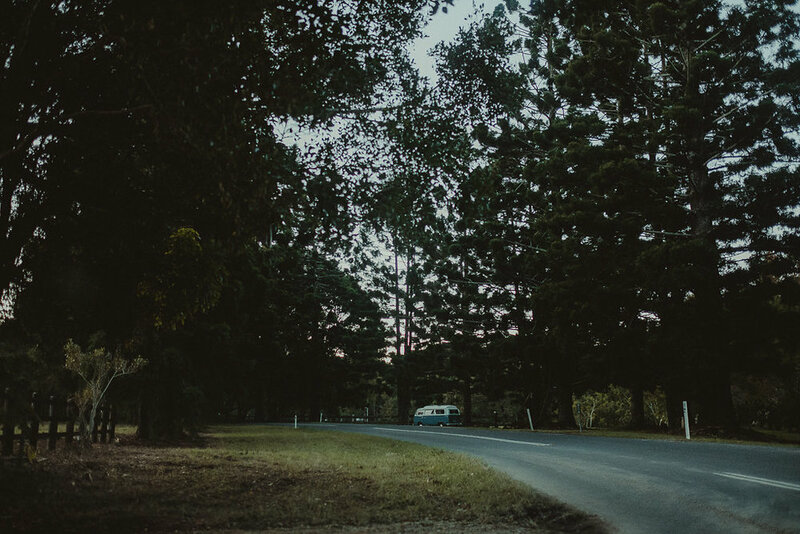 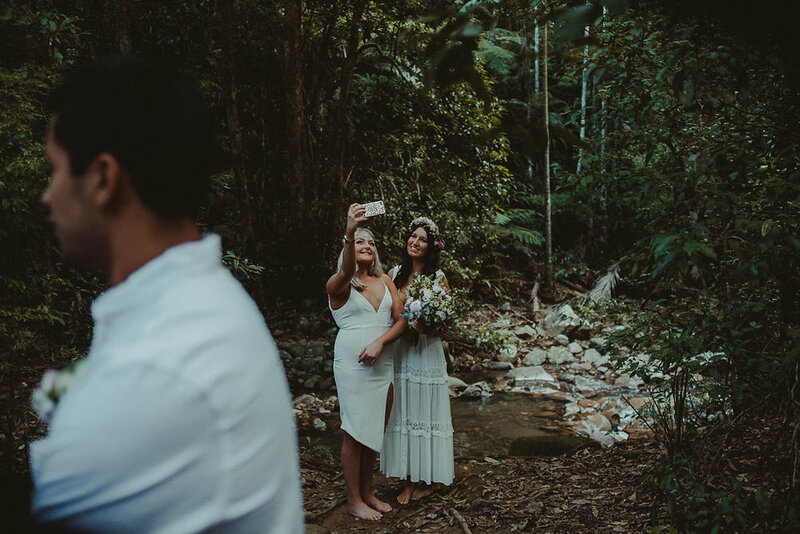 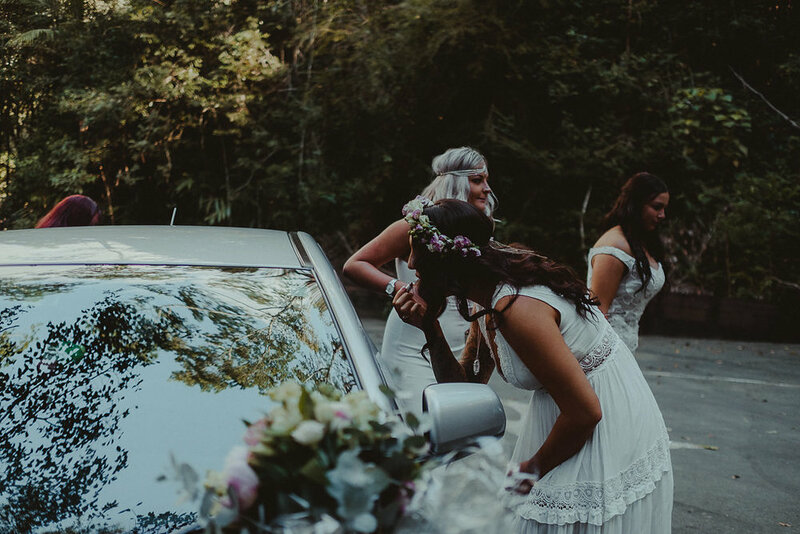 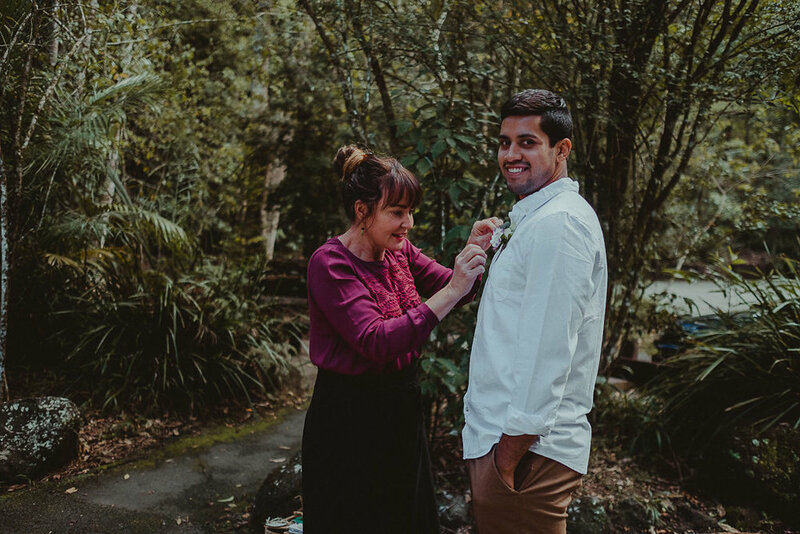 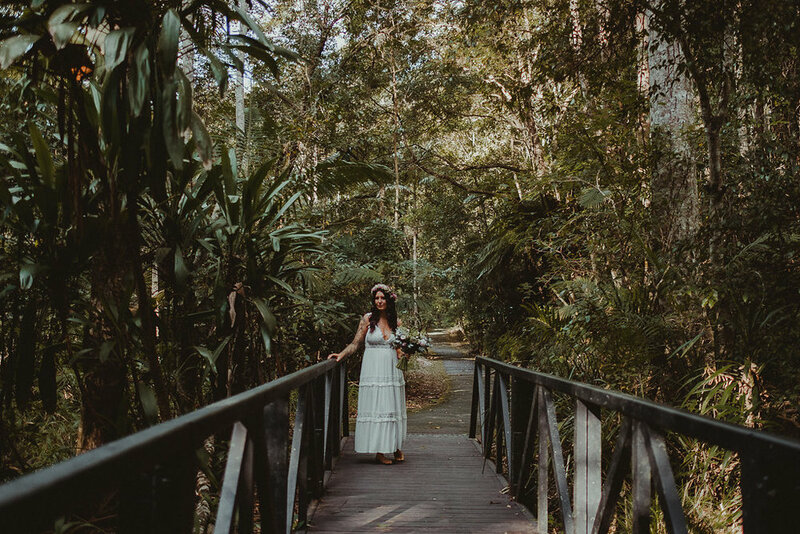 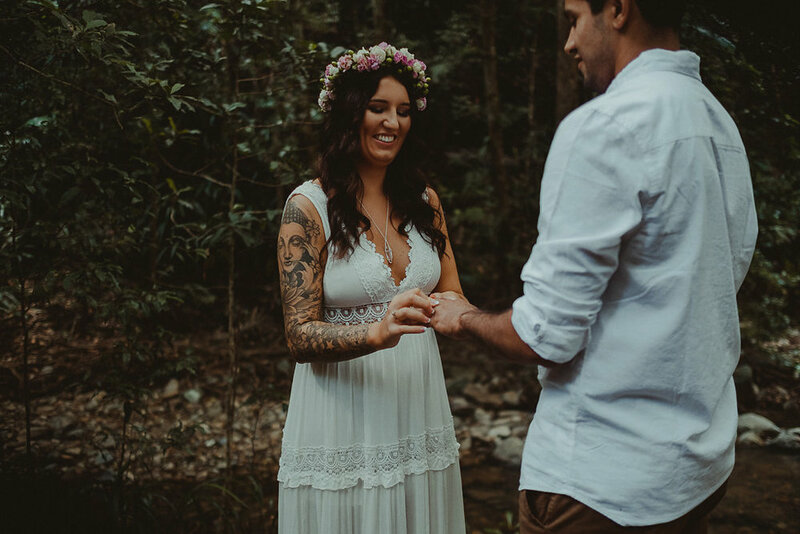 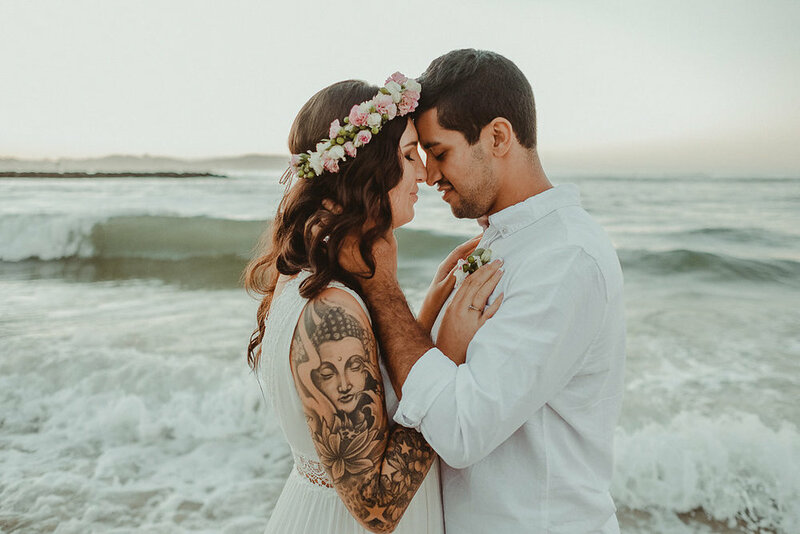 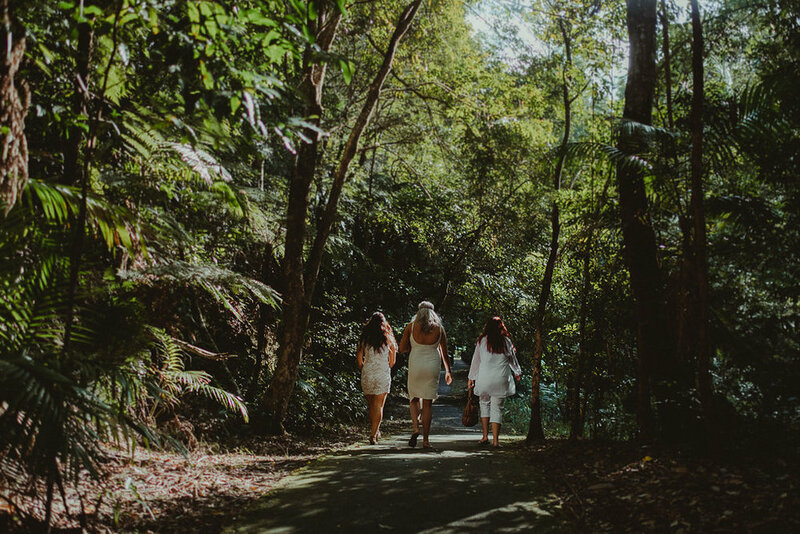 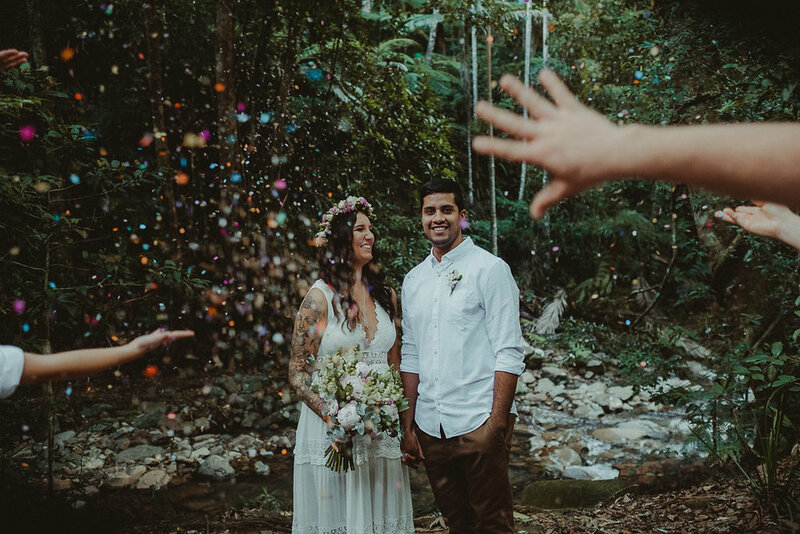 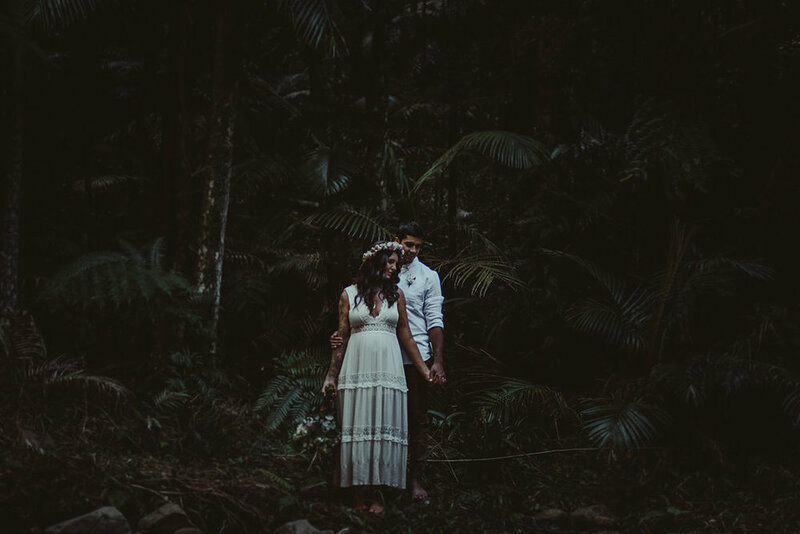 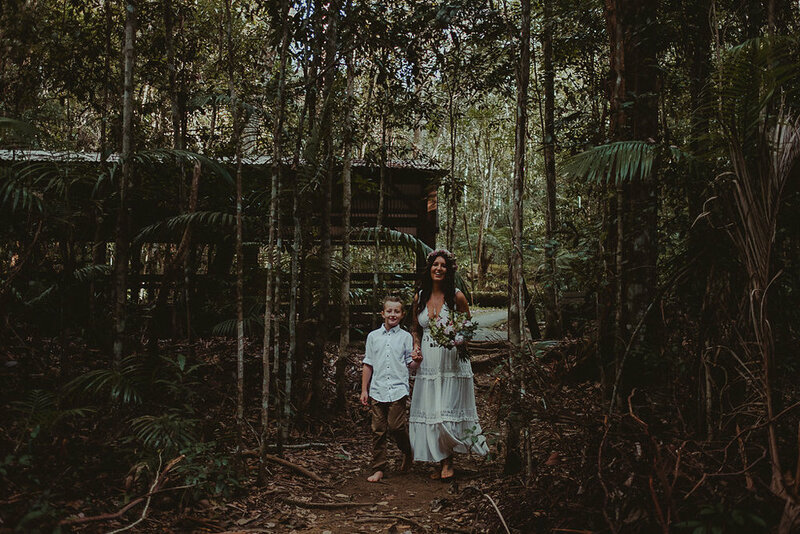 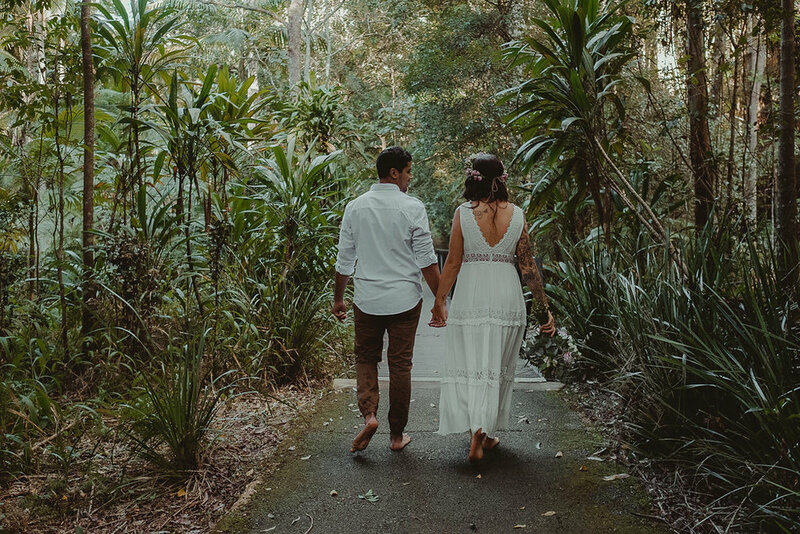 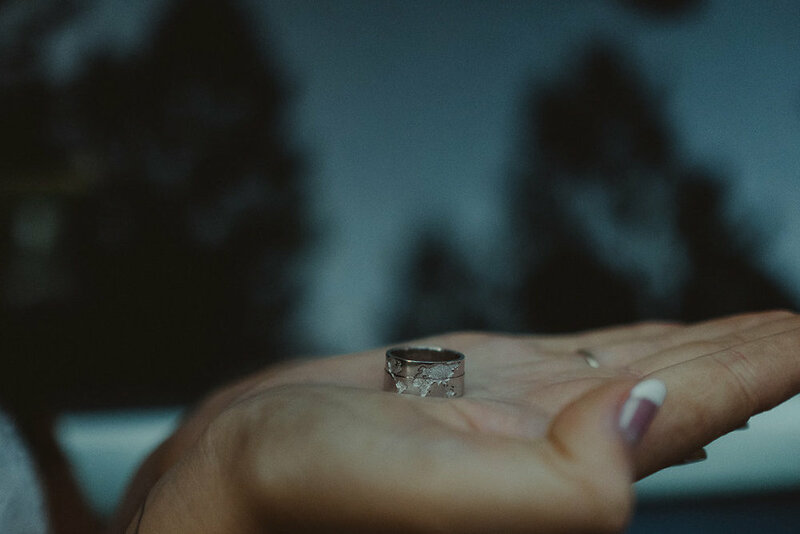 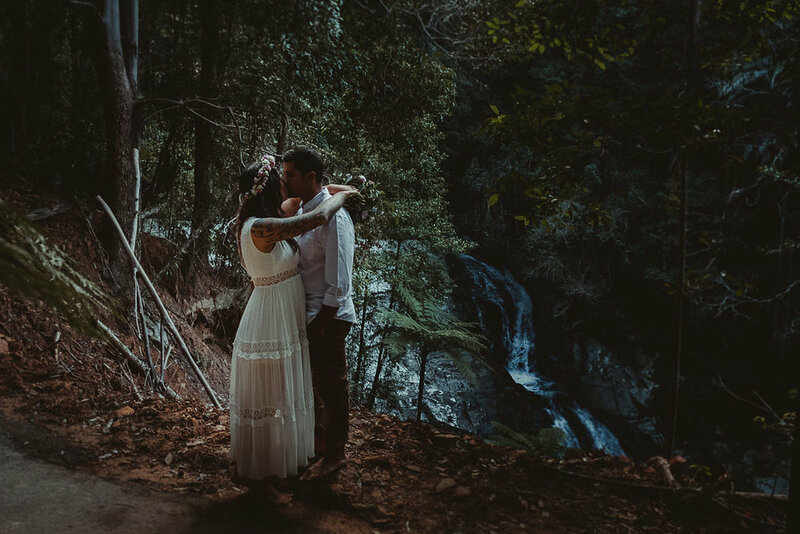 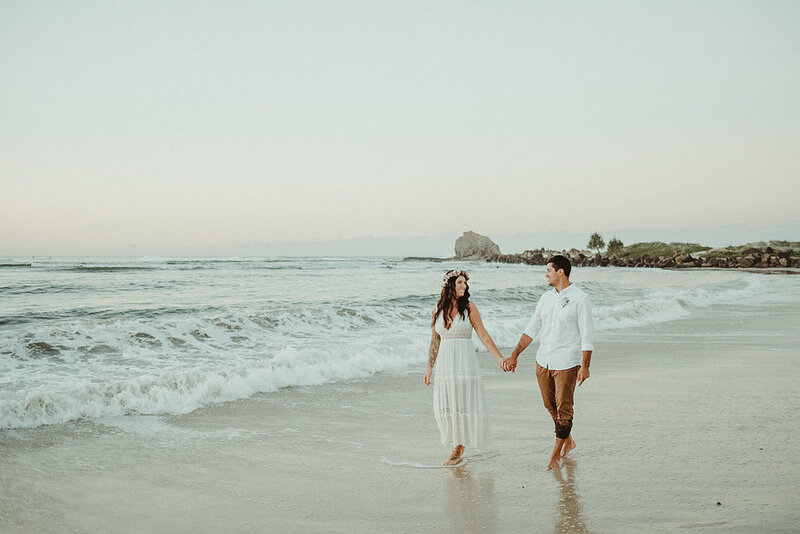 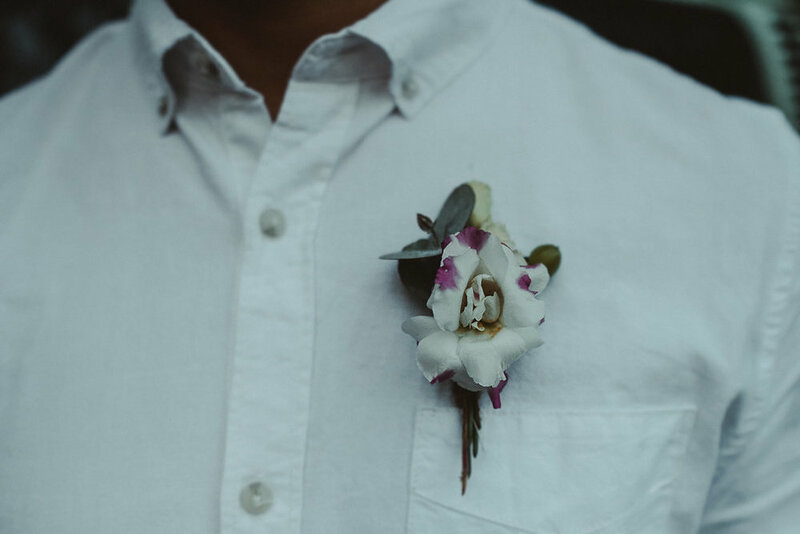 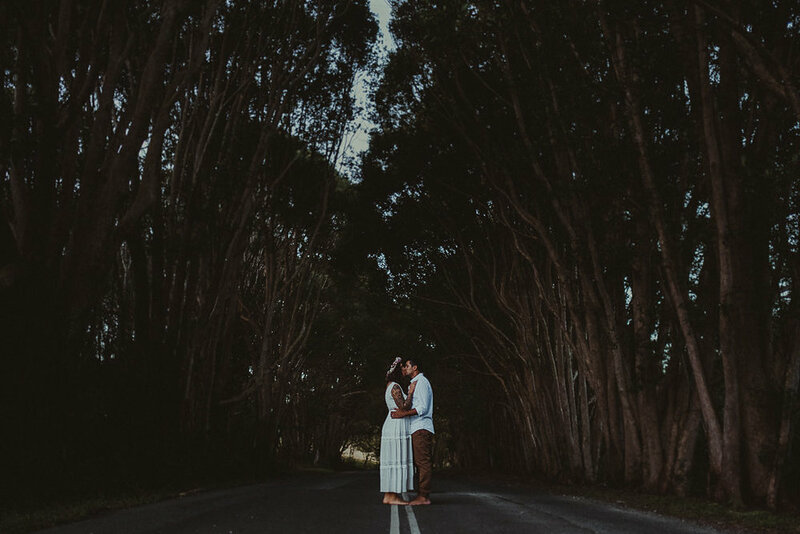 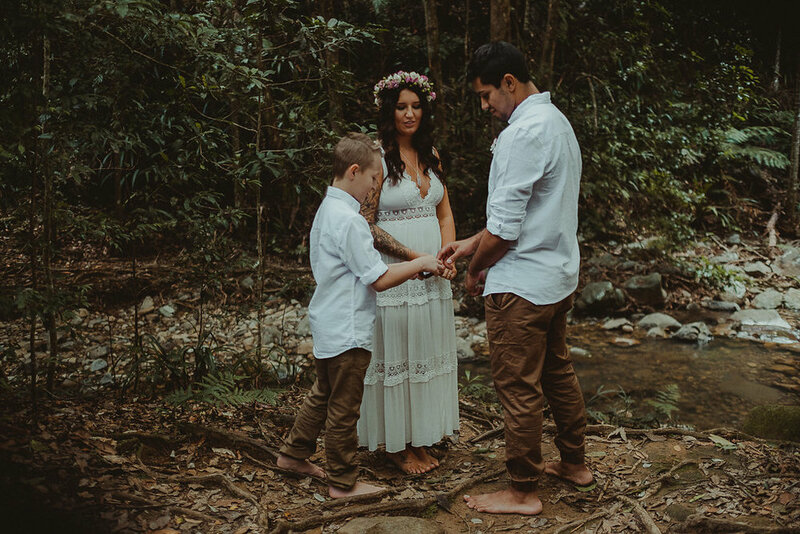 After showering the bride and groom with (eco-friendly) confetti, we headed off to explore the wilds of the Cascades before heading out to Currumbin Beach for a breathtaking Winter sunset. 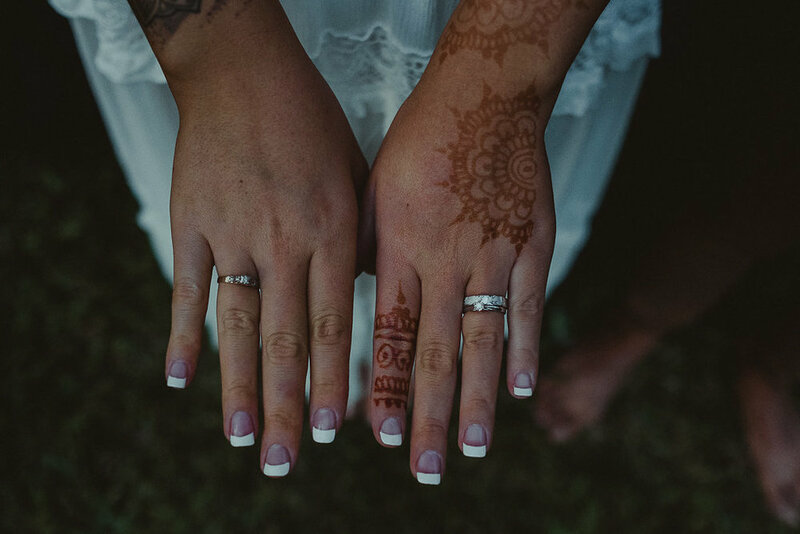 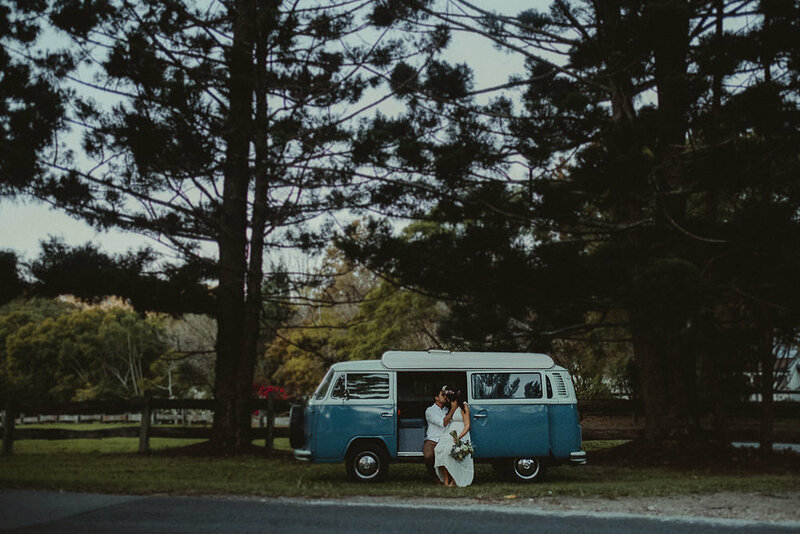 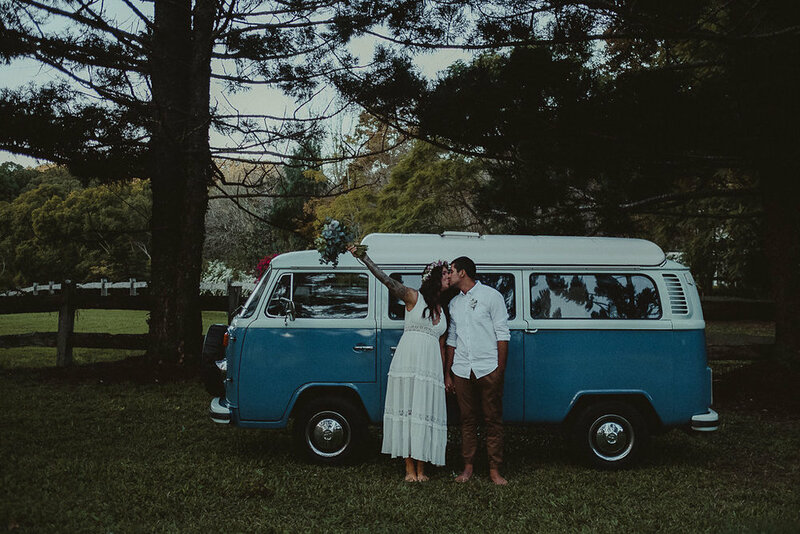 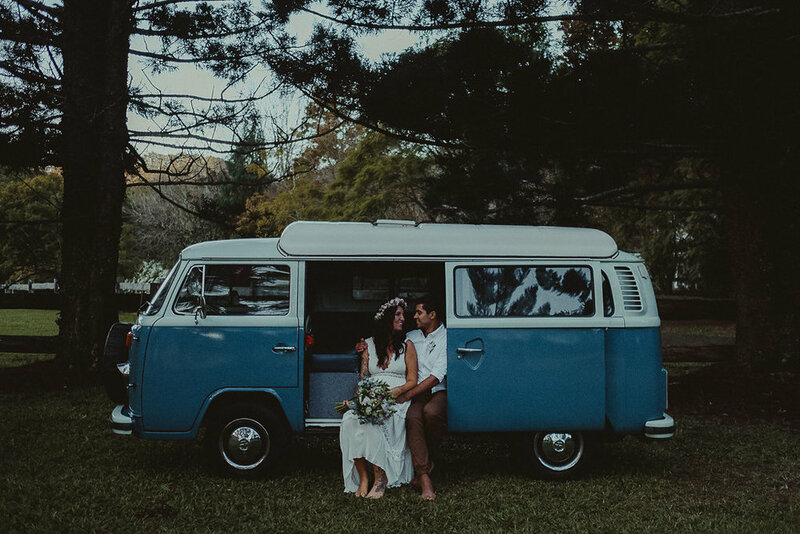 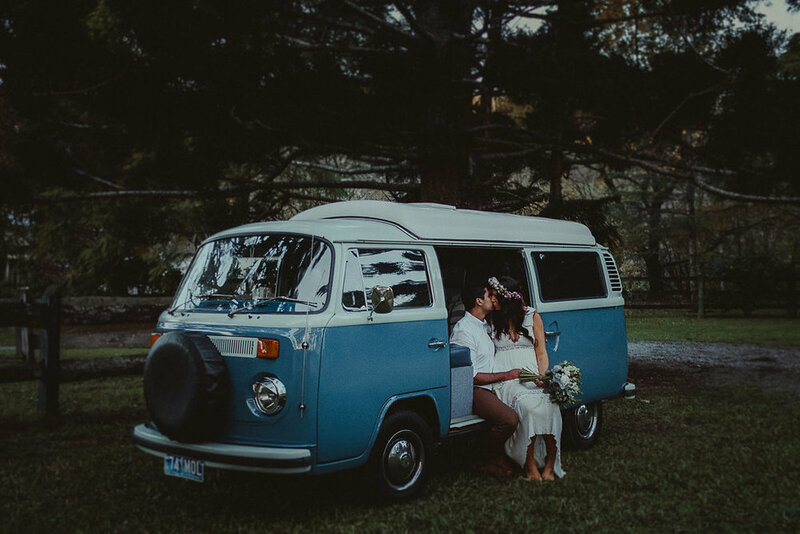 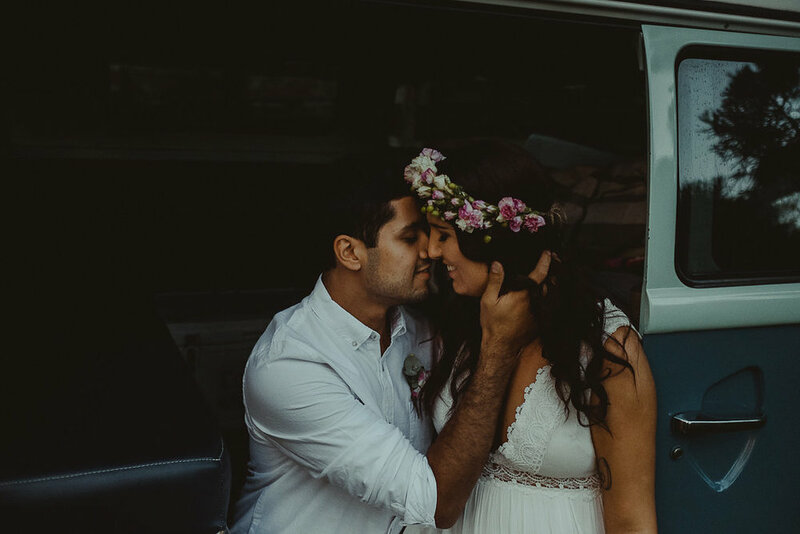 I couldn't thank our vendors enough - the phenomenal Candice Wilson who performed the most beautiful ceremony, Gypsy & Bloom for their exquisite florals, yet again, Mickeela from Inspired Artistry for stunning hair and makeup and of course Hire a Dub for the lend of one of their lovely Kombis, once again.